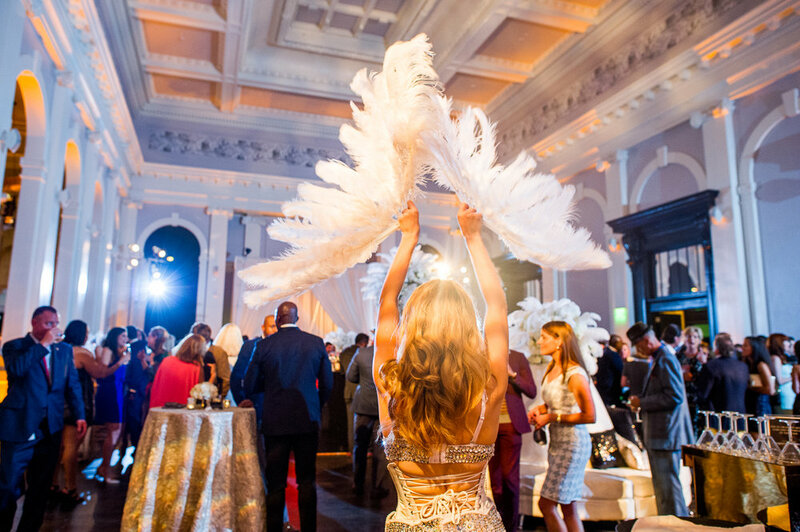 Last week, our showgirls made their way to Baltimore, MD for the Grand Opening of the Sagamore Pendry Hotel, produced by Stephanie Bradshaw and her team from SB Creative. Located in Baltimore's historic Recreation pier, the newly renovated luxury hotel honors the historic essence of the property, erected in 1914, and reflects the romance of a bygone era. As guests explored the hotel, our classic showgirls mingled on the floor with their sweeping feather fans... as several showgirls adorned the bar, sitting in trapeze swings 10 feet off the ground!